Investing in professional hair dryers can make your hair and your client’s hair lustrous, silky and less frizzy. 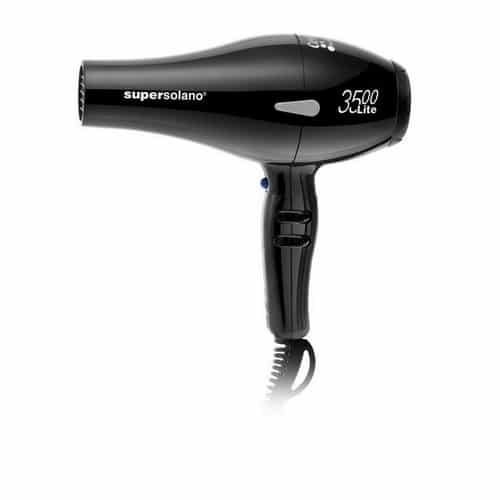 The best professional hair dryer is perfect for your own use or for your salon use. This device is very handy especially if you are styling different types of hair. That is why it’s very important to look for a high-quality product that includes several accessories. It should also have enough power so you can achieve the hairstyle that you desire. Most often, it includes different settings for its speed and temperature. Professional hair dryers are not only for salons but they’re also great for home use. A high-quality dryer can provide excellent protection for your hair and scalp. However, due to the colossal choices that are available, choosing the best professional hair dryer can be a bit overwhelming, most especially if you are not an expert. In order to assist you in discovering the appropriate tool, we will show you which features are essential and how to effectively use it. 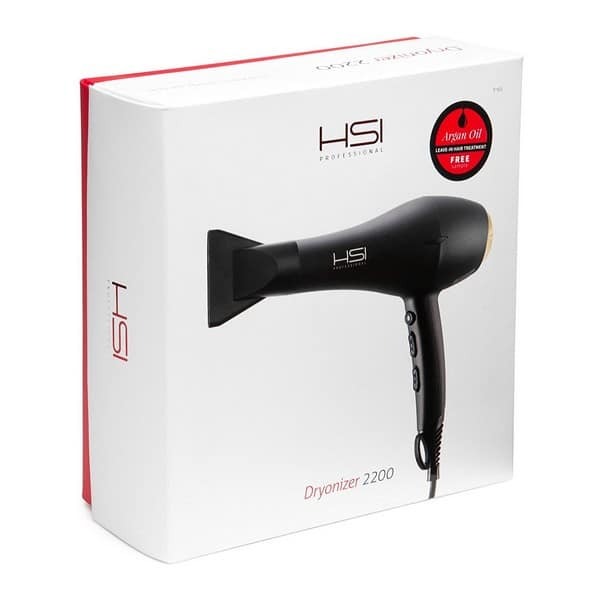 We will also give you a list of the best professional hair dryers that are available on the market right now in order to help you make the right decision. Aside from blow drying your hair, hair dryers can also be used for obstructing fast drivers. The residents of Hopeman went to the streets and impersonate the police by wearing fluorescent jackets and pointing hair dryers on fast cars in order to slow them down. Not all hair dryers are created equal. Thus, it’s best to know which type is suitable to use. Basically, there are three types of professional hair dryers. These are the ionic, ceramic, and tourmaline hair dryers. Ionic Professional Hair Dryers – It uses ionic technology in breaking down the water molecules. This means that it can dry your hair faster. Since you only need less heat then there will also be less damage to your hair. The problem is you don’t know when to stop which can lead to over-drying your hair. 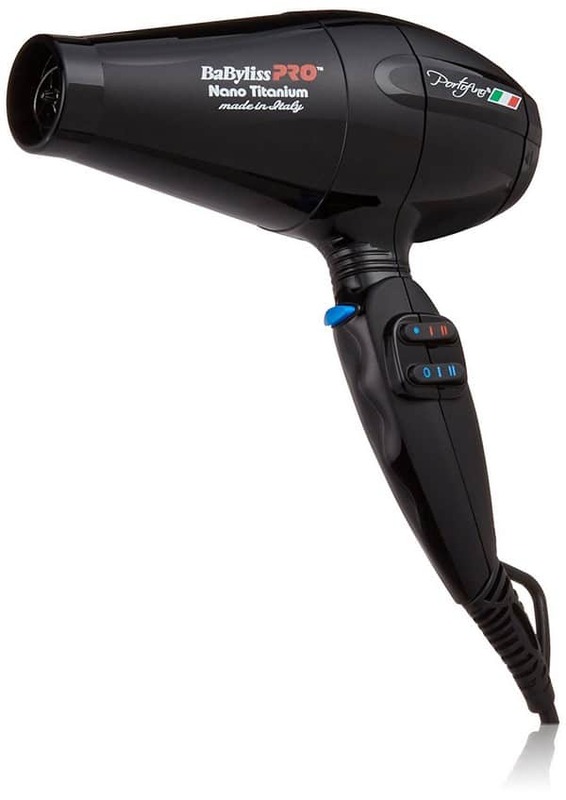 Ceramic Professional Hair Dryers – It uses ceramic coils which are excellent heat conductors. It will dry up your hair equally preventing any damage. This type of dryer disperses non-damaging infrared heat that dries up your hair gently. It provides additional heat protection to your hair. Tourmaline Professional Hair Dryers – It is the faster version of ionic hair dryers. This is the reason why it’s the most expensive among the three. This dryer gives off infrared heat and negative ions to dry up your hair gently. Your hair will look shinier and has less frizzy after styling. Even if you use higher settings it won’t damage your hair. If you are a professional hairstylist then you definitely need BaBylissPRO Nano Titanium Portofino Dryer. You can guarantee that it is made of high quality since it is an Italian brand. With it’s ionic and nano titanium technologies as well as its powerful motor, you can always assure of a smooth dry hair. It also works on all types of hair. Additionally, it includes essential accessories such as a diffuser and 3 concentrator nozzles. It is ergonomically designed, making it easier for you to use. There are 6 heat/speed settings to choose from. It also features cold shot function. Select the best combination that is appropriate for your hair and scalp. 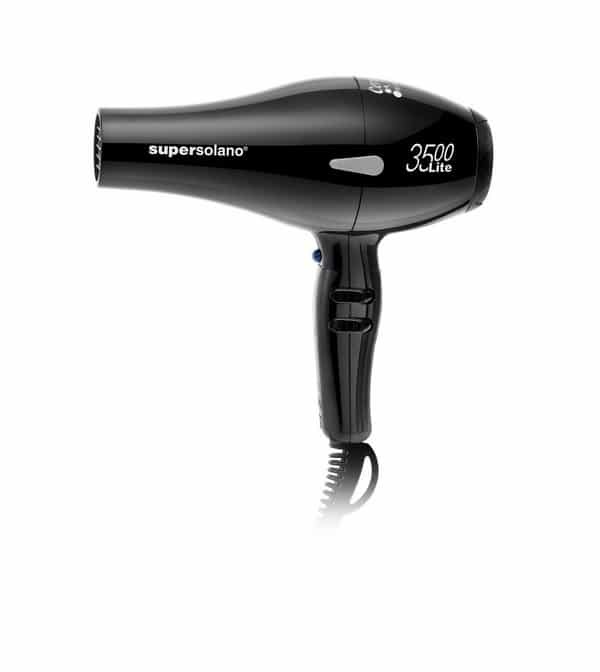 It uses a powerful 2000 watts AC motor to quickly dry up any hair type in an effective manner. The ionic nano titanium technology can make your hair shinier. Its stainless steel filter can be removed, making it easier for you to clean. It is a bit heavier since it weighs 1.8 pounds. RUSK CTC Lite Technology is the best fusion of technologies. It can dry up your hair quickly. 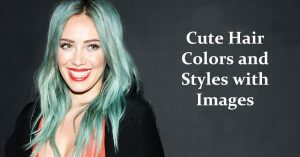 You can easily style any type of hair since it is very light. It features a perfect combination of ceramic and titanium. This dryer provides an excellent power of at least 1900 watts. You can accomplish any hairstyle quickly since it includes several accessories such as a concentrator nozzle and a diffuser. One of its greatest advantages is its elongated 9 feet power cord. It gives you the chance to use this hair dryer even if the power outlet is very far from you. There are seven heat and speed settings. It comes with a convenient hanger ring. It does not use ionic technology. Turbo Power Twin Turbo 3200 gives you an impressive 1900 watts. 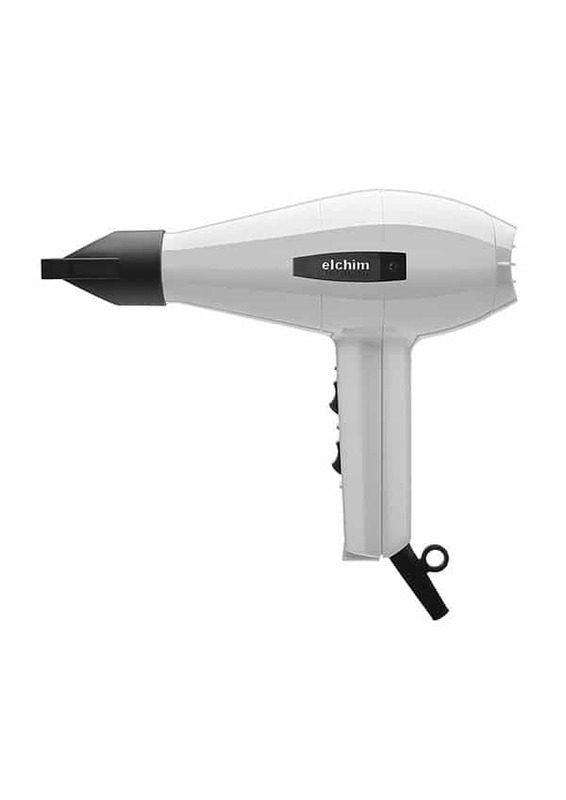 One of the best professional hair dryers that features ceramic ionic technology. There are six settings that you can choose from if you want to adjust its heat and speed. It also comes with a cold shot button. You can use it for a long period of time since it is compact and lightweight. It’s very easy to clean because it has a removable stainless steel filter. Includes two concentrator nozzles, a wide nozzle, and an extra wide nozzle. Comes with an anti-overheating device. Does not give off enough heat. This a powerful device which is best for professional use. It can dry your hair faster since it uses negative ions far infrared heat. A versatile dryer that features six heat and speed settings. It has a powerful 1875 watts motor. According to its maker, this dryer is capable of emanating 100 times more negative ions compared to other models. As a result, your hair becomes smoother and silkier. Far infrared technology can protect your hair, making it healthier. It has a lengthy 8 feet power cord. Far infrared technology can protect your hair. With its powerful 1875 watts motor, your hair dries up quickly in just a few minutes. It includes double stall air inlets which can prevent your hair from getting into the dryer. It only has one concentrator nozzle. 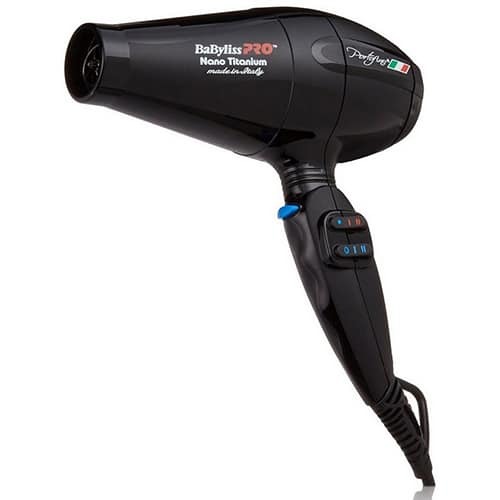 This professional hair dryer features 2200 watts of power. This gives you a faster drying time. 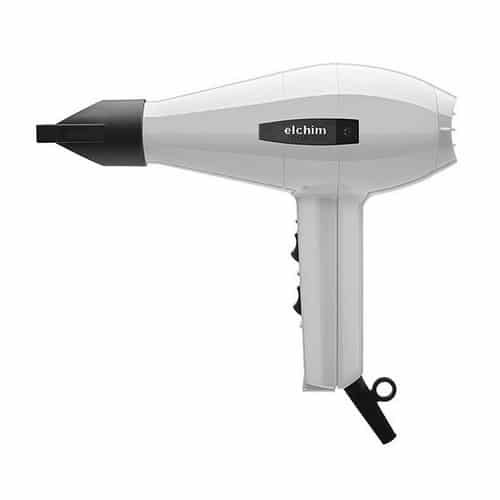 This ceramic hair dryer generates negative ions that are broken down into water clusters. This will provide luster and moisture to your hair. It can also minimize frizz. Its high heat setting provides sufficient warmth to quickly dry up your hair and prevents burning. The cold shot button is very handy for styling your hair. It has three settings for the temperature and two settings for the speed. It is very comfortable to use since it has an ergonomic design. This dryer is very light so you won’t get tired even on prolonged use. Dries up your hair faster. Makes your hair silky and shiny. Its motor can provide 1800 watts of power. Includes a cold shot button. Lightweight and has less noise. There are only two settings for the speed and three settings for the temperature. This professional hair dryer has a high-performance motor. It uses a ceramic thermal grill in distributing the heat uniformly. Far-infrared heat will dry up your hair from the inside-out, this means that your hair is always protected. Tourmaline provides luster to your hair. It can make your hair smoother while reducing flyaways. 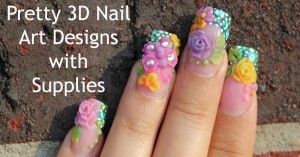 This gives you the freedom to create the style that you want to achieve. There are three heat settings and two settings for the speed. The motor can last longer and operates quietly. It includes two different concentrators and a cold shot button so you can enjoy having a professional hairstyle every day. With its lengthy cord, you don’t have to worry if the power outlet is very far from you. It comes with a handy hanger ring for your own convenience. Cleaning is not a problem since it has a removable filter. 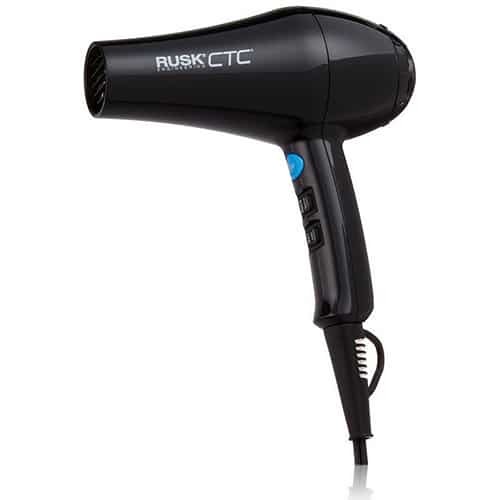 Provides high heat to quickly dry your hair. Button placement is not too convenient. Some users complain of motor problems. High heat may result in frizzy hair. This is a high-end type of professional hair dryer. It is an Italian device that gives you a powerful 2,000 watts motor. 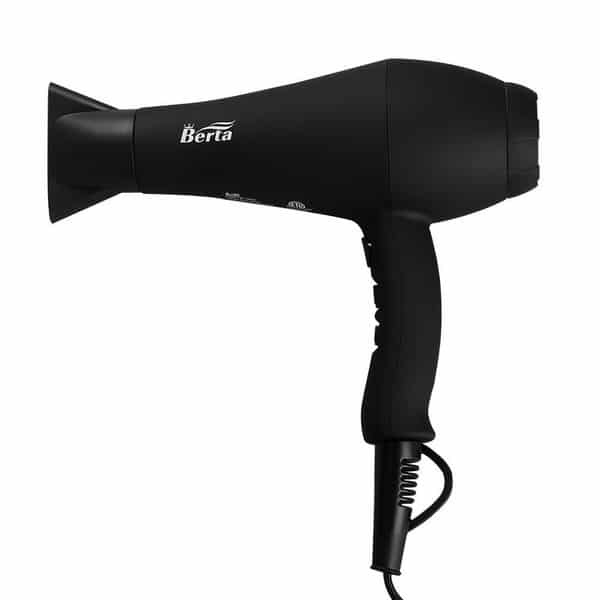 A durably built hair dryer designed for all types of hair. This is one of the best professional hair dryers that is available in the market. In fact, it’s very in demand right now. It comes with a lifetime warranty so you can guarantee that it has the best value. Elchim Classic 2001 is lightweight and very easy to use. For easy storage, it comes with a hanging ring. 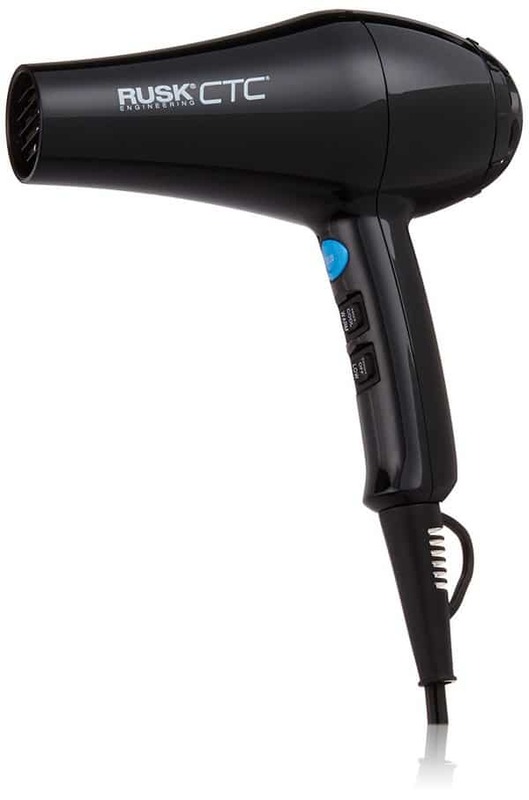 This is a very versatile hair dryer since it includes three settings for the temperature. 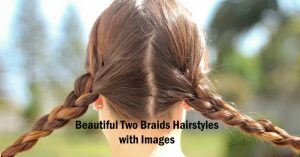 This is very helpful when you are doing a unique hairstyle. Can straighten curly and frizzy hair. Some users complain that it is not hot enough. Some people think that choosing the right product can be done by simply comparing its prices. Actually, it goes beyond this since you should also consider its individual aspects. Wattage – The higher the wattage the better. The hotter your dryer the quicker it can dry up your hair. This is very advantageous if you have a busy salon. 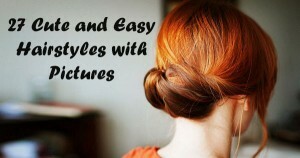 Additionally, you can save time in styling your hair at home. Ideally, you should use a motor with at least 1350 watts. Temperature Settings – Choosing the hottest setting is not the most effective way of drying your hair quickly. Too much hot air can damage and weaken your hair. The ideal way would be to use warm air at a greater speed. One of the best features of professional hair dryers is that it uses advanced technologies which permit you to balance different settings so that you can always keep your hair healthy. Weight – It can make your job much easier if you use a lightweight and ergonomically designed dryer. Styling can also be done quickly. Turbo Boost – With this feature, you can adjust the airspeed to its highest level without altering the temperature. This can help you in lessening the time spent for drying your hair. Noise – This is a very important characteristic if you are using professional hair dryers in your salon. Imagine if you are using noisy hair dryers and they are running at the same time. Wouldn’t it be harmonious if you are using dryers with less noise? Accessories – Two of the most useful accessories are a concentrator nozzle and a diffuser. The concentrator nozzle is for styling straight hair while a diffuser is for curly hair. Some units come with combs or brushes. For salon use, it’s best to choose a model which include the most accessories. In order to use your professional hair dryer effectively, there are certain guidelines that you have to follow. Before using your hair dryer, dry your hair first with a cotton or microfiber towel. 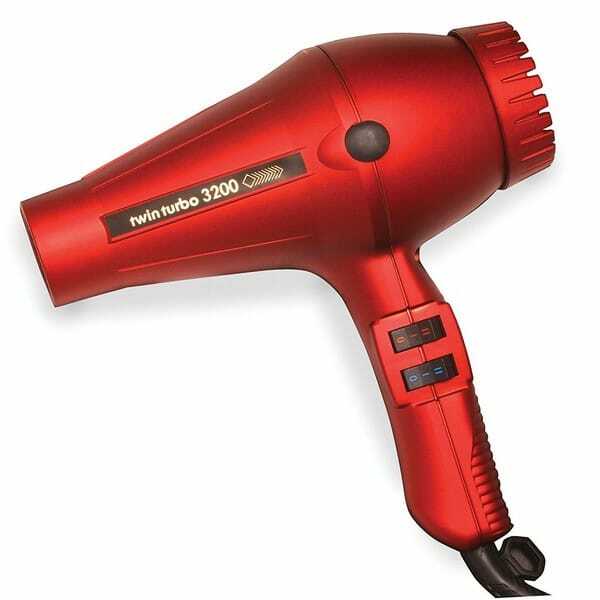 Use a hair dryer that is powerful enough and has a capacity of at least 1600 watts. At the start, use only the hair dryer. Later on, when your hair is already partly dried then you can use comb or brush. In this way, you can minimize hair damage. Watch the video below for more tips. If you want your hairstyle to look great then you need to invest in decent hair care products, hair styling tools and of course the best professional hair dryers.